To comma or not to comma? Many people might then ask the follow-up question “Australian or US English?” But the truth is, you first need to ask “what kind of comma?” For the sake of convenience (and online real estate), let’s say there are three main comma categories: serial commas, subjective commas and objective commas. This is where your “Australian or US English” question really does matter. US English uses serial (Oxford) commas, whereas Australian English has been officially ‘anti’ these for years now and most style guides these days (including the Australian Government Style Manual, on which most in-house style guides are based) now rule against them. The organisation’s structure comprised four major businesses: manufacturing, procurement, logistics and distribution and transport. What are the last two businesses here? Are they ‘logistics and distribution’ and ‘transport’, or ‘logistics’ and ‘distribution and transport’? (Never mind that this company might do well to rethink its approach to business segmentation.) 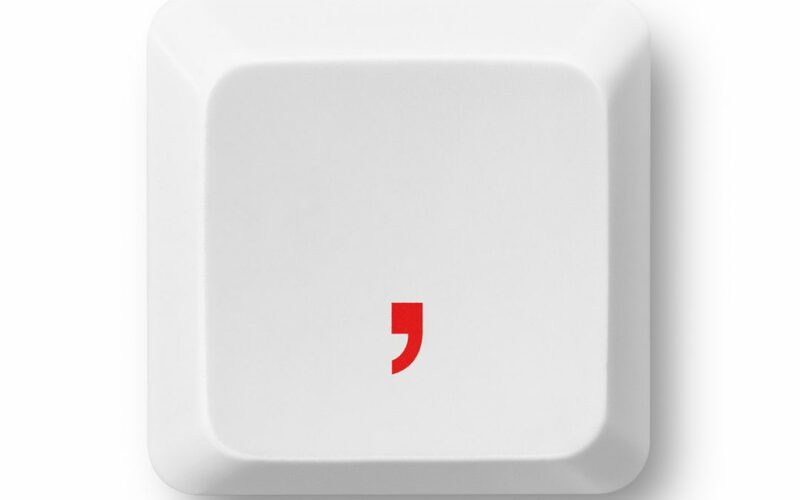 Without a serial comma, we are stuck at a crossroads with nary a signpost to point the way. The hitch is that “sense or nonsense?” is sometimes a subtler question; there’s a bit of subjective judgement involved. This is why it’s always best – or at least easiest – to ask your neighbourhood proofreader. We face these quandaries daily and have a keen eye for spotting passages that would baffle the average reader. But remember, serial commas are only one subset of the comma family, and the others don’t care so much which country you’re in. Although the buses are running late, we have addressed the source of the problem, and we’re working to fix it. That third comma isn’t separating items in a list. It isn’t even entirely essential to the meaning of the sentence, it’s just giving the reader pause. So if you’re going for extremely minimal punctuation, you could delete it. This brings us to subjective commas – those that create cadence and rhythm, clauses and pauses – for effect or for breath, in the case of a speech. Consider the following sentence with and without (most of) the commas. At the end of the day, all we know is that cats are cuter than dogs, unless, of course, we’re talking about very tiny puppies, in which case, maybe the puppies win, after all. At the end of the day all we know is that cats are cuter than dogs, unless of course we’re talking about very tiny puppies in which case maybe the puppies win after all. Neither is officially wrong or right, although the first example is more ‘old school’, and also something like how you’d write a speech – so the speaker knows where the pauses should go, and has time to breathe once in a while. For any other piece of formal writing, a professional editor would probably strip out all but one or two of those commas, unless the copy in question was part of a more casual, conversational piece of writing. These commas are up to you, as the writer. An editor may strike some out if there seem to be too many, but really it’s a judgement call whether you leave them in. All I can say is if a proofreader advises you to remove (or add) a comma, they probably have a grammatical reason for it and you should probably do as they say. We all know what ‘objective’ means – “It doesn’t matter what you think”, more or less. Some commas you can apply almost as a rule (although as always, there are exceptions). There are more than I could conveniently list, but the following are some you’re most likely to encounter. Use a comma to separate the body of a sentence from its introduction. Back in 2002, earnings were at an all-time high. After three weeks of rain, they finally agreed it was unwise to travel during monsoon season. Almost as uncertain as the territory around commas is the conflict between ‘that’ and ‘which’. We could get into the difference between restrictive and non-restrictive clauses, but we won’t – that’s for another blog post. For now, a good ‘cheat’ is to remember that (for several different grammatical reasons) ‘which’ is always preceded by a comma. If you can read the sentence without slightly pausing before ‘which’, you should probably be using ‘that’ instead. She ordered a pizza which that had at least a dozen toppings. She ordered a pizza, which everyone else thought was a great idea. See the difference? There’s no need to pause in the first sentence, so it doesn’t need a comma and you’d use ‘that’ instead of ‘which’. But if you read the second sentence in your head, there’s a natural pause – a comma – after ‘pizza’, which means you use ‘which’. It was a gorgeous Saturday and not too windy; therefore, they decided to go to the beach along with everyone else in the city. ‘Therefore’ with a semicolon before and a comma after. Classic. Traditional. Unimpeachable. In a more casual piece of writing you might throw in a few therefores without the formal punctuation, but I for one will always stand by the classic structure. After all, if you’re being formal enough to even use the word ‘therefore’, you might as well go the whole hog. This is by no means an exhaustive list, by the way. Suffice to say there are rules around when you should (or must) use commas, and like all good rules you can bend them once you know what they are. A reformed devotee of the serial comma, Olivia McDowell is a senior editor in Editor Group’s new New York office. Contact her here.